A must have for even pontoon boat! 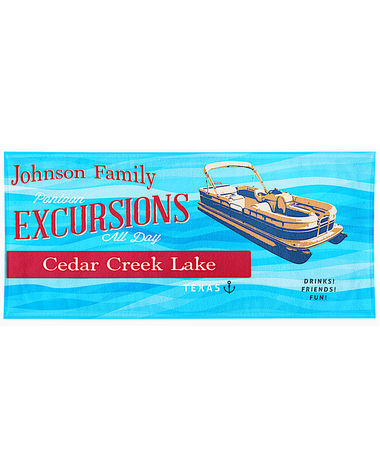 Each towel is personalized with your name (or boat name), lake name and location. 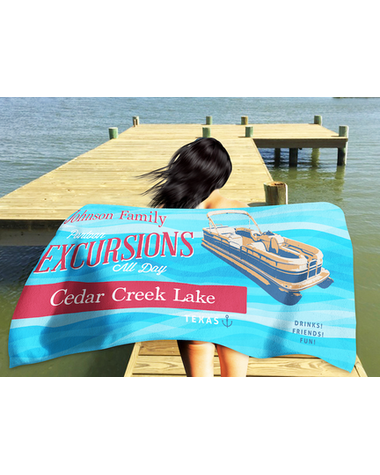 The beach towel measures 60" x 30" and is luxurious velour on one side and absorbent cotton terry on the other. 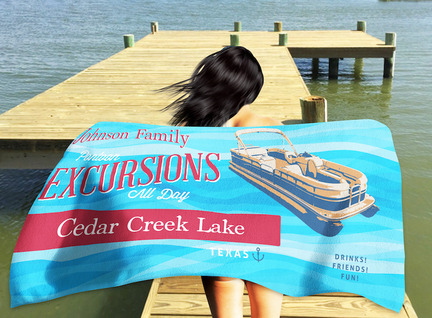 This is the softest beach towel you have ever seen and makes a great gift for any pontooner.